FORT WORTH, TX SEPTEMBER 5, 2011 Jason Scherer has been signed to drive a Pro-Light truck and Ultra4 car for team owner Tom Allen of PSC Motorsports in the newly formed team, Allen Scherer Racing (ASR). 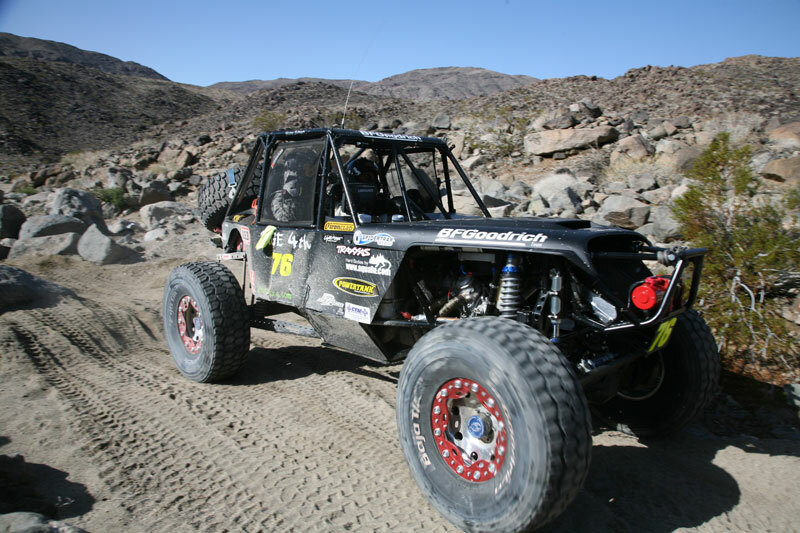 The ASR team will compete in the 2012 TORC Pro Light Series, at the 2012 Ultra4 King of the Hammers, campaign for the 2012 Ultra4 Championship and also compete in a few Best in the Desert and BRT Desert Races. “I am excited to say the least!” said Jason Scherer, 2009 ‘King’ of the Hammers and multiple offroad series championship winner. “I have been racing competitively for the last 10 years and the work and dedication has paid off! Tom wants to win, so there is a lot of pressure, but I am also very competitive and as soon as that green flag drops I hope to accomplish the goals for all involved.” The ASR team is composed of owner Tom Allen and the team at PSC Motorsports, Jason Scherer and his Rage 4th support staff and Tribe 4×4 Adam Scherer and Ryon Donaldson. “Having Jason, Adam and Ryon on board can only lead us to a winning team,” said Tom Allen CFO of Allen Performance Resources, the parent company of PSC Motorsports and ASR Team Owner. “With a long history in racing from IRL to motocross, we have had the opportunity to develop ideas and technology that not only go into every PSC product, but will also be proven on multiple types of race tracks again this season.” In 2012, Allen will take his co-driver seat next to Dean Bulloch for select Ultra4 races including the 2012 King of the Hammers. Adam Scherer (no relation) and Ryon Donaldson from Tribe 4×4 are building and race prepping vehicles for the 2012 ASR Team in their climate controlled Dallas, TX race shop. Work has been underway on three vehicles including a Pro-Light Truck, an IFS Ultra4 car that will debut at the 2012 King of the Hammers and a new Ultra4 chassis that will be debuted and raced this week at the Ultra4 Stampede outside Reno, NV. The innovative new 2 seat front engine chassis raced at the Stampede is the prototype for a production car that will be available for sale to the public through ASR / Tribe4x4. ASR will also campaign 2 Pro Lite short course trucks 2012 that are being built by Keith Stamper at Relative Fab. More about Jason Scherer: Jason Scherer has stood on the podium at over 50% of the events he has raced winning one of the most prestigious rock races; The 2009 King of the Hammers. His consistency and race car set-up is also proven winning the Pro-Rock Championship in 2006, repeating in 2007 along with dozens of race wins. Scherer embraces his racing career with a very supportive wife and daughter who join him on the trails of Northern California. More about PSC Motorsports: Tom Allen has been involved in Ultra4 racing since its conception. As a company PSC has been there supporting racers and as an individual Tom has been in a car with Dean Bulloch for all the official KOH races. Tom has quoted that the Ultra4 racing has been a great test bed for us as a company and many new parts have been developed for our industry due to this new type of racing. There is nothing in the world that comes close to producing such a demand on parts and components such as Ultra4 racing. So now PSC plans to take on the other offroad racing markets by getting totally involved by being there racing door to door with our potential customers. You gain a lot respect from competitors when they know you are out there too and just not making calls from behind a desk telling them how to fix their car. As for the future at PSC there looks like lot’s of growth is on the horizon for 2012.